National Academy of Railroad Sciences (NARS) is an effort of BNSF Railway and Johnson County Community College to promote railroad safety. NARS training is built around safe work practices, reinforcing that they must be applied to every job, every time. Employees who are trained to work properly will work safely. You will enjoy a safer workplace, lower insurance premiums and a more productive workforce. 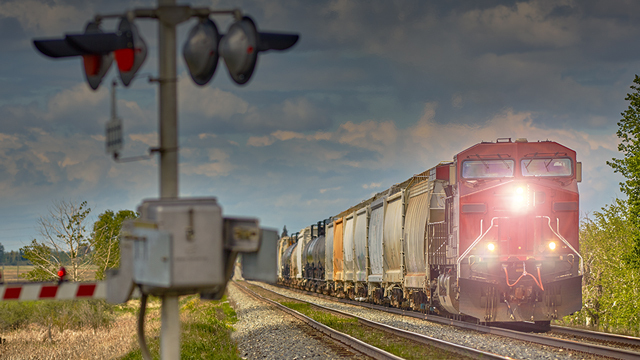 With extensively equipped railroad job education facilities, NARS is uniquely qualified to provide hands-on training for virtually every industry craft, including mechanical, transportation, engineering and signal/telecom. Courses are taught by highly qualified instructors on the campus of Johnson County Community College (JCCC), or we can bring selected classes to your location. Training at NARS offers a vast array of locomotive simulators to enhance learning results. By working in labs and simulators, trainees hone skills in environments identical to what they'll experience on the job. Bring NARS training to your site. NARS can send a trainer to your site to help you comply with Federal Railroad Administration and OSHA requirements. You will also benefit from lower insurance premiums, a safer workplace and more productive employees. We offer customized training around industrial rail operations and maintenance of way operating rules. Request a price quote and schedule training on your site today. We’re experienced. Our instructors are experienced industry professionals. We’re up-to-date. Our material is relevant, our instructors know industry trends and our equipment is top-notch. I’m confident because the NARS instructors took us through the exercises step by step and made sure every student ‘got it.’ They made learning really fun, too. Teaching the course isn’t just a paycheck to them, they really care about their students.